The gee bee QED is 13.4 MB. Larger files take longer to load. This is the gee bee QED listing page, here you can download the plan, article and see the main thumbnail and extra images. The Gee Bee Q.E.D. 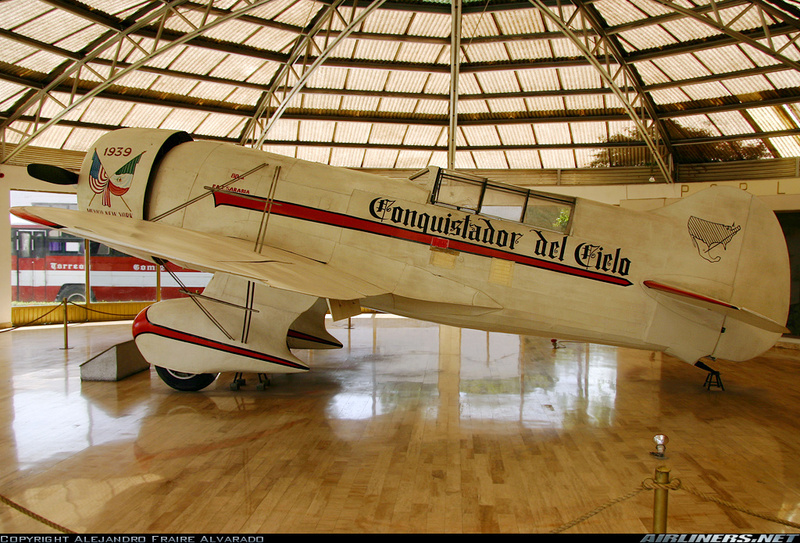 ("Quod Erat Demonstrandum"), aka Gee Bee R-6H, aka the "Conquistador del Cielo" (Sky Conqueror) was the last in a series of racing and touring aircraft from the Granville Brothers. Unlike the other Gee Bee aircraft, the Q.E.D had the distinction of never finishing a race it was entered in. The Gee Bee Q.E.D. 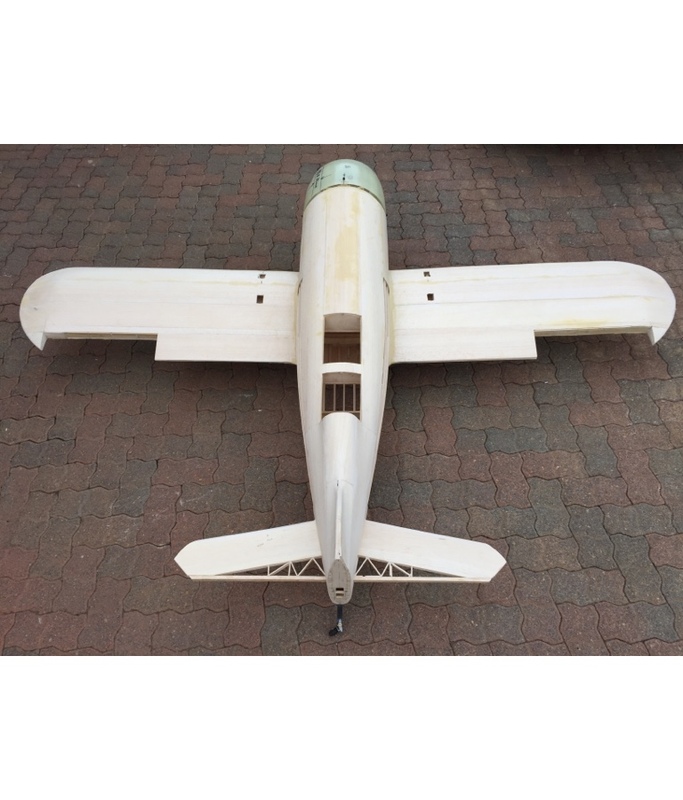 shares the same general shape as the Gee Bee R1 racer, but is nearly 10 ft (3.0 m) larger in span and length. The aircraft was powered by a 675 hp (503 kW) Pratt & Whitney R-1690 Hornet. The fuselage is steel tube with fabric covering. The wings used wooden spars and ribs with mahogany plywood covering. The aircraft was painted bright green with orange markings to match the sponsor "Lucky Strike" cigarettes. P&W Hornet SD; span: 34'3" length: 27'2" load: 3355#; ff: 8/15/34 (p: Lee Gehlbach). Plywood-covered wings and tails. 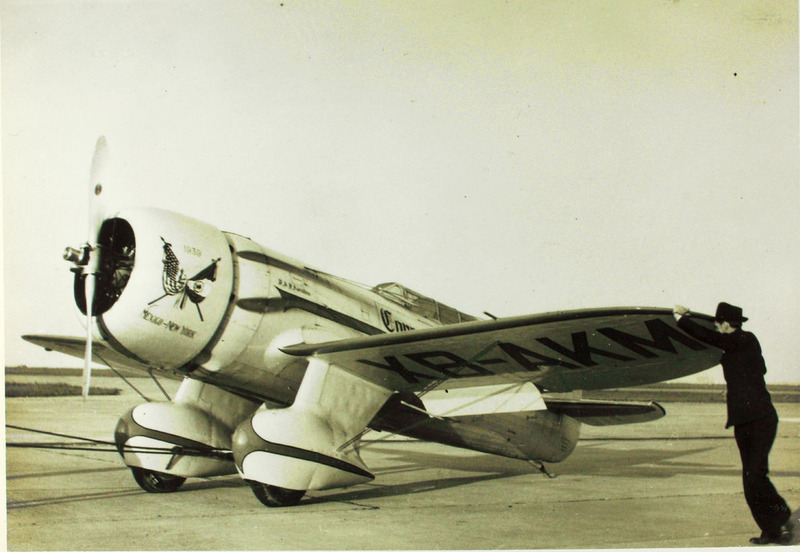 POP: 1 [NX/NR14307] c/n 1, to Jacqueline Cochran for unsuccessful entry in 1934 MacRobertson race, then sold in 1938 to Francisco Sarabia in Mexico as [XBAKM] Conquistador del Cielo, set a new Mexico City-NYC speed record in 1939, but crashed on take-off from LaGuardia Field on the return flight. Remains of the plane were shipped to Mexico, rebuilt and placed in a museum. 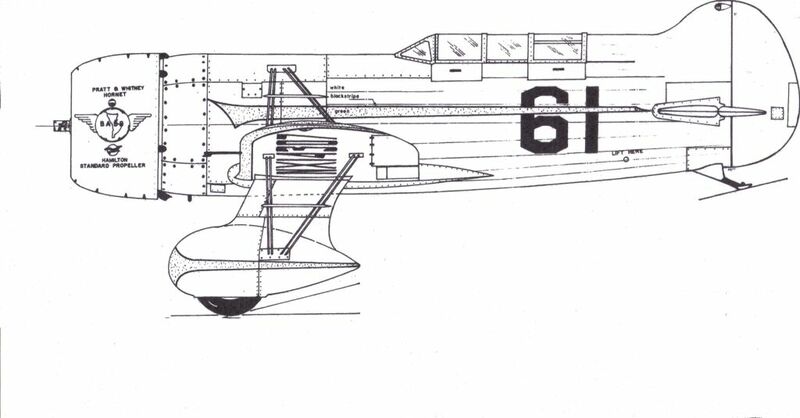 The original design for R-6C specified a liquid-cooled, turbocharged Curtiss Conqueror, but that engine was unavailable and the Hornet SD was used instead. Besides the 1934 MacRobertson race, QED was also entered in the 1934 Bendix (p: Lee Gehlbach) in which it finished too late to qualify, the 1935 Bendix (p: Royal Leonard), 1936 Thompson (p: Leon Atwood), and 1938 Bendix (p: George Armistead) but did not fly in any of them because of engine problems. Before Sarabia purchased it, aircraft dealer Charles Babb owned it and repainted it from "Lucky Strike green" to white. These are the details for the "gee bee QED" plan. If you would like to become a plan editor and help us to edit the attributes of all the plans in the website please click the "Edit Attributes" button below. Order your gee bee QED prints today! The gee bee QED plan can be printed on plain paper, tracing paper or polyester film and shipped worldwide. Scale: The original wingspan for this model is 87 in. / 221 cm. Please Change the values below to order in a different wingspan. This tool allows you to calculate the cost of printing and shipping the gee bee QED plans and its building article if available. If you need to resize a plan please contact us with the ID:101599 and the desired wingspan. I will calculate a price upon request, please contact me here mentioning this PlanID: 101599 and the job you wish me to do. Nice plan, thanks for sharing. I´ll if it´s possible to restore. Ive build this model, almost done, how to i add pictures? This plan is 13.4 MB and was shared by our member Marcdeklerk on 15/08/2018 10:16 in the PDF Bitmap Wood Model Airplane Plans (2) category. It has been downloaded 577 times. Marcdeklerk has spent time working on this plan so you can have it now, you can always leave him an appreciation message. Marcdeklerk will surely like to see what you have build from his plans... You can share your builds at our Forum under the Build Logs section.